Lead core fishing weights are both a cheap and effective. It’s an effective an dynamic weight that can be customized to the right size, attached to the various clips (crimped) and many other options. 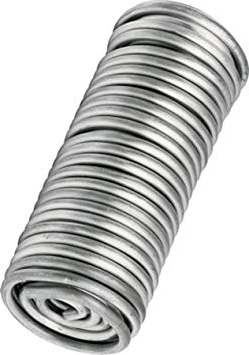 Lead core are sold in large coils or individual sized pieces. In my opinion, the cheapest and best way to go is to buy the large coil so you can cut the sizes you want. 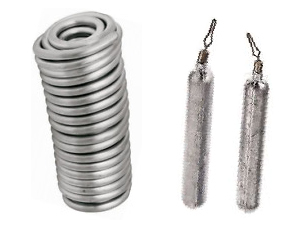 These coils will last you a long time. This handy tool does a quick calculation for the length of core lead you need for a balanced setup. You simply choose the size of the float, diameter of the lead and the tool will provide you with the recommended length. 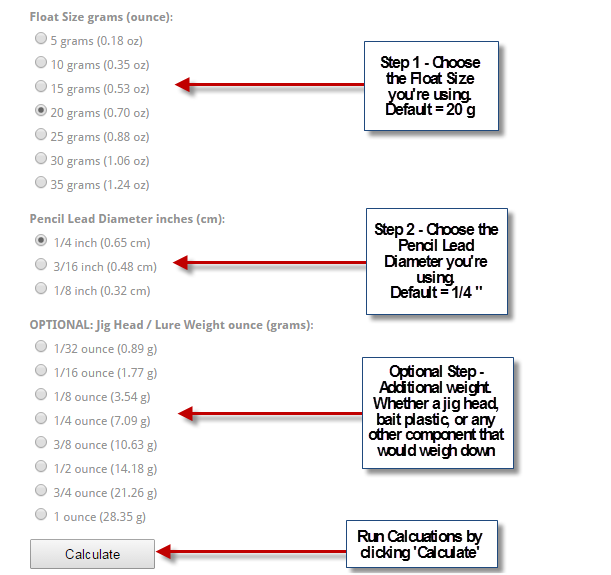 There is also additional options to include other weight you may have below the float (jigs, baits, etc) and it will adjust the lead size recommendation. And it will also warn you if you’re using too much weight. Check it out!